It is Halloween this weekend. With all the carved pumpkins, witch costumes, zombie face paintings and spooky sweets, it is hard to get back to the essence of this feast of the start of winter. To honour the dead. To create light in darkness. To be reminded that life goes on with our children. 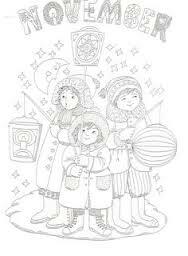 The ritual of children carrying a lantern, going around singing and being rewarded with sweets must go back to an old pagan ritual, which found it’s way into modern societies in different forms. In Spain it is connected to Epiphany on the 6th of January, and children go around dressed up as the three wise men. When I grew up in the Netherlands we went around on st Martins day, the 11th of November, using a sugarbeet as a lantern, because they were widely available. I wouldn’t be surprised that lighting candles, singing at Christmas and getting presents go back to same tradition. And now this practice has found its form as trick or treating on Halloween. Parading children, singing lively and carrying the light must be a reminder that in this period of slumbering bleakness these children are our future. But as much as it is about the promise of a future, it is also time to look back at the past. In the Catholic Church the 1st of November is the day of the dead. 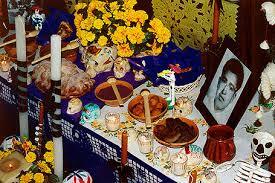 In Mexico it is a very important festival. People visit the graves of their loved ones, bringing offerings to comfort the departed. Feeding the dead, so they won’t come back and feed on us. 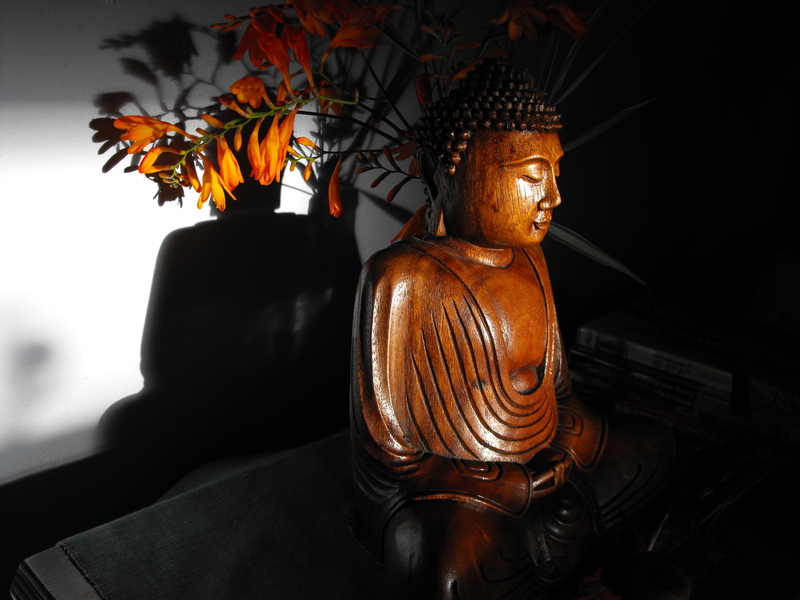 In Elizabeth Luard’s ‘Spiritual Food’ I read that this is important to many cultutes, from Celtic to Chinese, to make sure you are at peace with your ancestors. In modern society where the future is bright, and everything has to be new and better, we are not caring anymore what our ancestors would make of this. We stand in awe at the fireworks at Bonfire night, forgetting that the bangs should scare unhappy ghosts of the past. On the 11th of November we commemorate those who made the ultimate offer to our country, but what are we offering them? We treat them with silence. To make peace with your lost ones might be a decisive step in accepting who you are, where you have come from, the relationships with the departed which have formed you. Before you have done that, it might be difficult to move on to the future. Food plays an important part in all this. Nothing brings you back to your childhood like the taste or smell of something. That is why I am hosting 2 dinners with an Absent Friend theme this weekend. It is important toast to them, so that they are happy with us. We eat aromatic spiced soul cake, to evoke fond memories. And rosemary, which scent brings me back to the paradise allotment of my Italian neighbour in Utrecht, 20 years ago. To Franco. Finally time to do some contemplative writing again, after a busy summer. It’s been good, making friends for life over breakfast while running a B&B, enjoying all the fresh local produce in the restaurant & having manic days while popping up with Oren at festivals as Gwyl Arall and Gwyl Gardd Goll. Now, with the wind blowing around the house, autumn has definitely arrived and brings a bit of melancholy with it. Nature is starting to show its more sorrowful colours in the deep red & purple of aubergines, plums, blackberries, elderberries & grapes. I would love to spend some time in a vineyard in Southern France to experience the buzz of the harvest and the anticipation of the wine it will make. The chill in the air and the first yellow leafs are telling us to hurry up, gather our produce and preserve the summer for the dark days to come. It is the season of jam & chutney making. 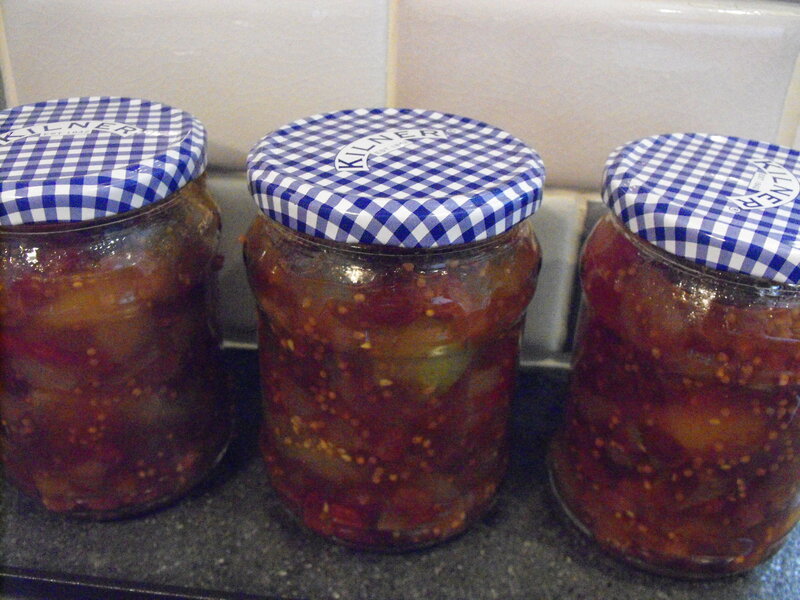 No wonder there are no jam jars left in Caernarfon’s hard ware shop as we bought the last ones for the green tomato chutney I made. No point in waiting for the perfectly glossy full bodied but hard & green tomatoes to get some colour. Better off putting them in a jar where they will remind me of the good summer I had growing them. 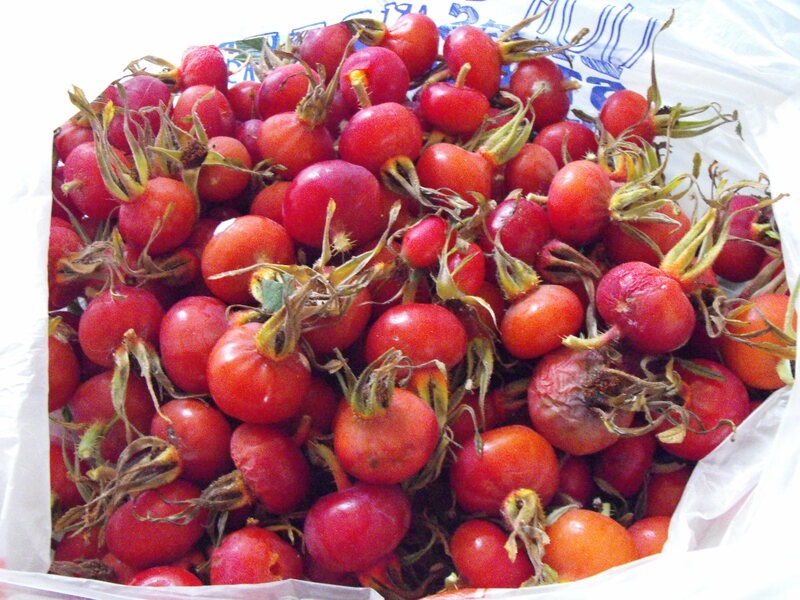 Of all the jams, rosehip must be my favourite. Ever since one summer as a small boy I helped pick Mrs. Blauw lots of them from our bushes, and she gave me a Matchbox Ford tractor as my reward. Mrs. Blauw was one of the few people to recognize the value of these fruits of the flower of love. They need a bit of work, with their little devils of thorns and millions of rock hard seeds. But after a good cooking you end up with a scented syrupy goodness – full of vitamin c.
All in all a good symbol of the sweet memories I am left with after the hard work this summer. 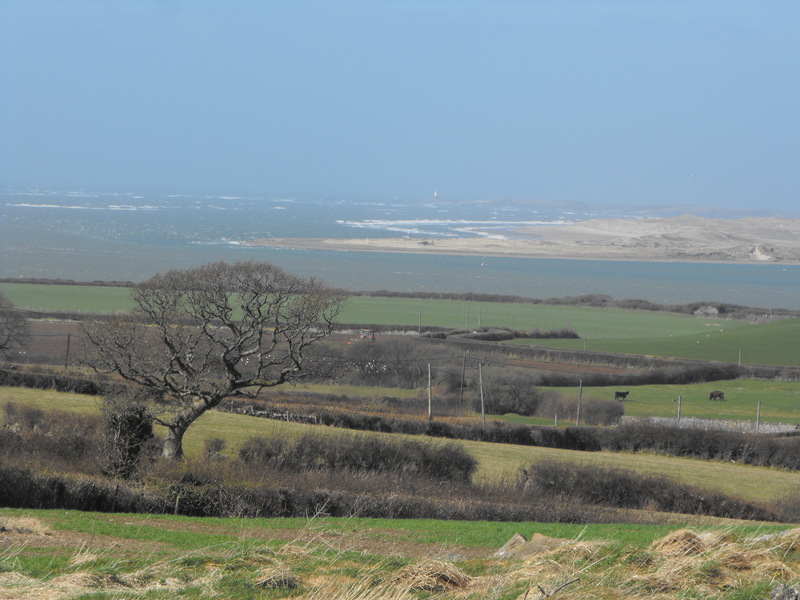 I have got a favourite stroll through some fields just outside Caernarfon and then back along the Menai Straits. Recently, in the middle of a field full of dandelions & daisies, the thought ‘Isn’t spring one big egg’ came to my mind. Everywhere nature was showing yellows and whites. Being in Wales, all the daffodils for instance. And the sloe bushes in the hedgerow in their white blossom haze. Finally after a long cold & dry period, trees are showing their fresh, limegreen coloured new leaves. It makes me want to eat them. And fortunately, you can. A wild food menu for Oren is on the cards for this week. May is the month of expectation. 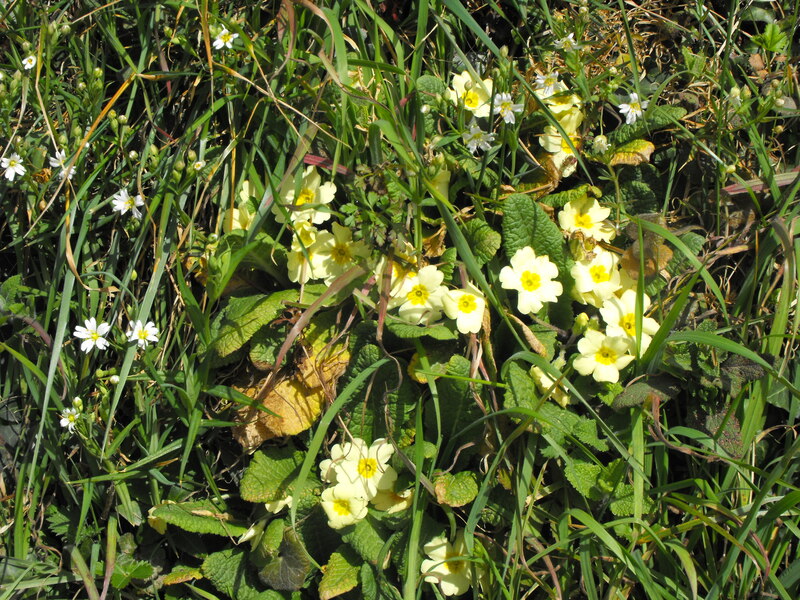 Not a vibrant and overexcited one, but more a serene looking forward, reflected in those yellows and whites nature is showing, and the gentle blues and pinks (forget-me-nots, bluebells). Yesterday I saw my first cabbage white butterfly of the year frolicking through the sky. That movement captured my mood exactly. Summer, the season of freedom, is around the corner. I will be able to walk barefoot soon, or in sandals, instead of having them tied into shoes. And there is a new dawn for Oren, after moving it from the Hole in the Wall Street to the cozy environment of my kitchen at Abel’s House. Personally I feel relieved, having no longer the restraints of a separate restaurant premises. And I am grateful the growing stream of returning customers feel as much as home at Abel’s as I do. This week I spent some days back in the Netherlands again, to catch up with my mother, who at, 85 is still cooking strong. I never realised till I was a chef myself how good her food was. One of my strongest assets, my palette, I have definitely got from her. My family is a bunch of ‘good eaters’. My mum and I agreed that when my dad only had 2 (Dutch style big) pancakes instead of his usual 4, it was a sign that with his appetite he lost his lust for life. And indeed, he died just before Christmas. Being able to shop in the Netherlands I thought this week’s menu would be for him. In spirit he will join us and share the dishes he loved with my customers. Starting with Brown Bean Soup, using an early dry bean variety originating from Holland. Has a smooth texture with a tasty, nutty flavour. 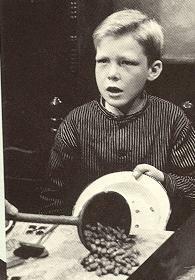 Famous in the Netherlands because a classic figure in Dutch literature, the poor farmer’s boy Bartje, didn’t want to pray at the start of a main meal of just brown beans. My dried brown beans (pinto would be a good substitute) are soaking now. I will cook them tomorrow together with some pork ribs (tip from my mum), onion, carrot, leeks, celery leaves, white pepper, savoury & nutmeg. Certainly for about 2 hours or more, they should be mushy but not completely break up. A bit of sweet soy sauce in it does wonders, as some thinly sliced smoked sausage. In our household this was served on a winter Saturday, the day my mother departed from the traditional meat-veg-potato meal and cooked one-pot-wonders. After my student sister brought a recipe for chilli con carne home in the 70’s, brown beans found their way to our plates in another dish on Saturdays as well. My dad loved fish. We grew strawberries commercially when I was a child and in the abundance of summer they were swapped with buckets of undersized fish of people from the nearby fishing village Urk. Little super fresh whole but headless plaice were gently floured and then deep fried whole. Lemon sole was best pan fried in butter. No messing with sauces – it was about the pure taste of the fish. There will be lovely fresh plaice on the menu but I could easily have done something with smoked mackerel, battered cod & salted herring still were top of my father’s menu, even when his appetite got less in the last year of his life. Dutch Pork Roll with Poached Pears is not as much on the menu because of the meat but of the pears. They are of a Dutch variety – Gieser Wildeman -, which is inedible uncooked. Rock hard. But they turn silken smooth and velvety red when cooked in some red wine and cinnamon. This menu could be never ending. As I said – I come from a family of ‘good eaters’. Roast chicken, apple sauce, the Dutch soft drink Rivella (a dairy sideproduct! ), bami goreng (fried noodles), schnitzels as big as your plate, sautéed potatoes, a hard boiled egg, traditional Twentse Krentenwegge (currant tea loaf) and pap made with buttermilk are a few of my dad’s other favourite things. So I am sitting in the chair by the fire in my kitchen, ready to bake some pancakes. The recipe for the batter I got from a cookbook my mother got for a wedding anniversary, 50 years ago. Make a well in the middle of flour, break the eggs in it, add the milk in small parts, and mix till smooth. Add the salt. Bake from this batter not to thick pancakes in the butter or lard in a frying pan, which are cooked and on both sides golden brown. Oh dear. How much butter in the pan? How many pancakes will this make? How long do they need to bake on each side? On what heat? How will you turn them over? It shows that 50 years ago they only needed some bare instructions on how to cook. Nowadays we’ve forgotten basic skills and have to search for a step by step recipe with not too many ingredients on the internet. Or buy ready-made pancake batter in the supermarket. Is that a sign of progress our society has made? 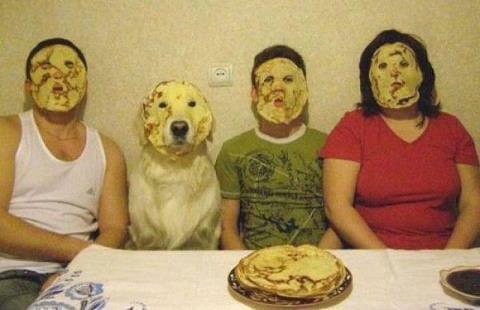 Really, I urge you to make some pancakes today using the above recipe. It’s not too difficult, and if the recipe is a bit vague, what is wrong with a bit of self initiative? It is so satisfying to have made your own hearty, tasty pancakes. Bacon pancakes with syrup is a symbol of the luxury we can indulge ourselves carefree in today, before the more contemplative, spartan 6 weeks of Lent start tomorrow. For the more adventurous a recipe for speck pancakes with yeast, from the same cookery book. Use streaky bacon as a substitute for the speck. Make a yeast batter from the flours, yeast & milk & let it rise. In a frying pan melt the lard or oil and fry bacon lightly. If the fat is hot enough, add the batter and bake the pancakes till they’re done and brown on both sides. Ok, I’ll help you. A yeast batter is made by dissolving the yeast in lukewarm milk, the mixing it with the flours, leaving it in a damp warm place, covered by a teatowel, till it is doubled in size. In keeping with the fasting traditional for Lent a Vegetarian Valentines Meal on Thursday, and lots of vegetarian food on an Indian Kerala Buffet for the weekend. I have never really understood the stories about her. But then again, I am a convinced bachelor. To me, it looks like she was disappointed in love and then sulked for years on a forgotten corner of the island of Anglesey. I can understand why she chose that place though, because nowadays there is still an air of serene tranquility at Newborough beach. You can reach Landdwyn island at low tides from the beach. For me, there is always something magical about places like that, as if I am on a pelgrimage and the island allows me to come in, by lowering the water. We use Penceunant Tea Rooms (www.snowdoncafe.com) as a location for Pop Up Oren this week. An 18th century traditional cottage, on the slopes of Snowdon. It will take a little climb to get there. But it might remind the guests of the pelgrimage they are on together, lovers or not. The little effort they have to take will be rewarded with a warm fire and good food. Lowering my waters and welcoming the pilgrims in (as LLanddwyn island) is one of the nicest parts of being a cook for me. So instead of an evening where couples stare into eachothers eyes over pink and heart shaped afrodesiac dishes, we use this day as an excuse to comfort our ‘pilgrims’ and serve excellent Welsh food in a beautiful Welsh Cottage. 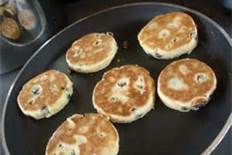 On the menu Welsh cakes baked on a griddle, this recipe is from Penceunant tearooms. So I am popping up. That gave me the inspiration to pick James Ramsden’s ‘Small Adventures in Cooking’ from the bookcase. James is an influential food blogger and pop up supper club host. According to the cover of this very usable cookbook he believes ‘that cooking is most enjoyable when imbued with a sense of adventure and exploration’. Reading that is like meeting a kindred spirit. It is funny how sometimes things seem to work together. Before picking up James’ book I just read our most recent review, which speaks of Oren as a place that ‘evokes a sense of adventure and autenticity’, the same as when you are ‘in a new country and being lucky enough to find this little fantastic place to eat’. The new pop up version of Oren ‘simply adds to the sense of surprise and discovery’. Maybe its the Gemini in me that always will look out of the window and wonder what is there. Or maybe I have inherited the pioneering spirit of my dad that looks for something to build in barren land. But when the fire destroyed Oren’s kitchen I immediately felt it was a new adventure and started exploring opportunities where to cook now. An adventure in cooking doesnt have to start with a new kitchen though. It can begin in your kitchen cupboard. The chapter ‘Corner Shop Capers’ in Ramsden’s book contains recipes as Spinach & Chickpea Curry, Smoked Sausage with Apple & Cream and Soviet Salmon Soup. If you are adventurous enough to cook this last dish, you can discover how a simple tin of salmon is transformed into something delicious. – Keep it tidy. Wash up in beween – otherwise you end up with an unworkable workspace the size of your chopping board. – Keep a bowl for waste. Ah, the bliss of a bucket in the corner. ‘Trying to chop an onion on a board covered with potato peelings and onion skin is a quick way to loose a finger’. – Put some music on. – I would add ‘Finish one job and then go on to another’. First peel, scrape, and clean all your vegetables, and then start chopping them. I know this all sounds ‘very common sense’. But sometimes it helps when somebody says this common sense out loud.